Beer Brewing Kit: If the man in your life has spent the spring, summer, and fall out in the yard every weekend, maybe it’s time you gave him a gift that not gives him something to do and give him something to be proud of. It has been the dream of many men, young and old, to brew their own beer. You can pick up a starter kit from Brewmasters Warehouse in Marietta, GA at around $79 and up. They are just a short drive away from Woodstock. Cigars: Some guys don’t smoke cigars, and that’s perfectly fine. However, for the guy who enjoys the occassional smoke, pick up a few celebratory cigars for your guy to light when his team wins the Bowl Game or the Super Bowl this year. Mr. G’s Cigar & Tobacco Shoppe in Woodstock, GA has the largest selection of cigars in Cherokee County. Stop by and see what holiday specials they have to offer. The Mother of All Smokers: In the heart of nearly every man is a desire for slow cooked meat. It’s time for the guy in your life to become the king of Q in your neighborhood. He deserves the mother of all smokers, the Big Green Egg. This will be the last smoker that you ever buy. The Right Grooming Products and a Straight Razor Shave: There are a lot of men out there that care about the way they present themselves to the world around them. Many, however, need some help figuring out exactly what they need in terms of grooming products. Call Dave’s Barber in Woodstock, GA to ask us to build your guy a basket of skin and hair products that will leave him feeling confident into the new year. Throw in an extra little gift inside the basket by gifting him a straight razor shave as well. 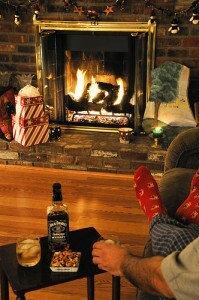 A Nice Bottle of Whiskey: A bottle of whiskey is always a great gift for the guy in your life. It can be his favorite bottle, or one that he has never heard of before. If you’re on a tight budget, there are some amazing whiskeys out there like Buffalo Trace Bourbon(responsible for producing Pappy Van Winkle) or Ian Macleo’s Isle of Skye 8 year Scotch Whisky. 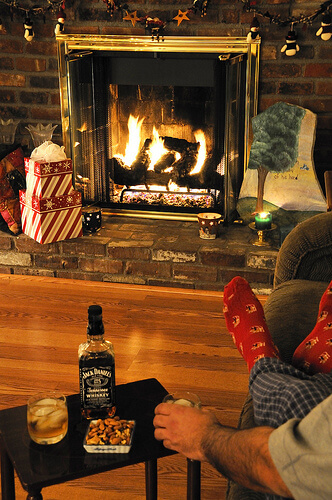 Guys, what gift is on your wishlist this season? Leave a comment!